Downey Daily Photos: What could happen? 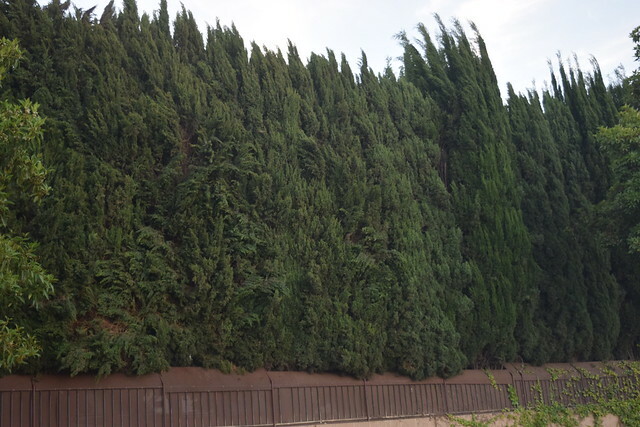 My wife and I often walk along this wall of trees. It is a good blocker of the Lakewood traffic noise and more pleasant on the eyes than the industrial buildings that line Lakewood Blvd. Last night, though, a portion of the trees were set on fire. 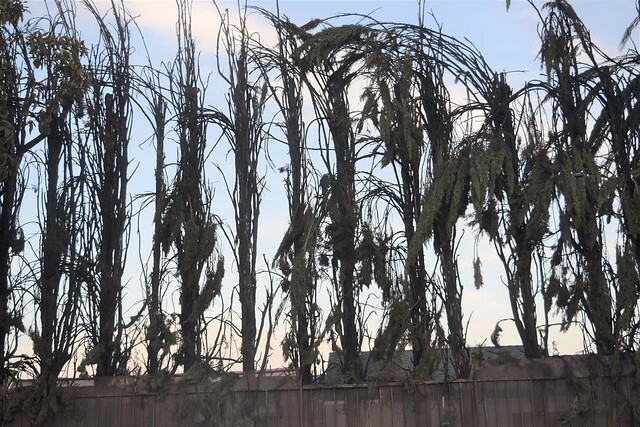 The Lakewood Health Center that is just the other side of these trees had to be evacuated while the Downey Fire Department put out the flames, made the scene safe for the residents to return, and investigated the cause. A lot of illegal fireworks were going off last night. Read about the Fire Department's actions here. This is what it looks like today. It doesn't stop much of the traffic noise anymore.